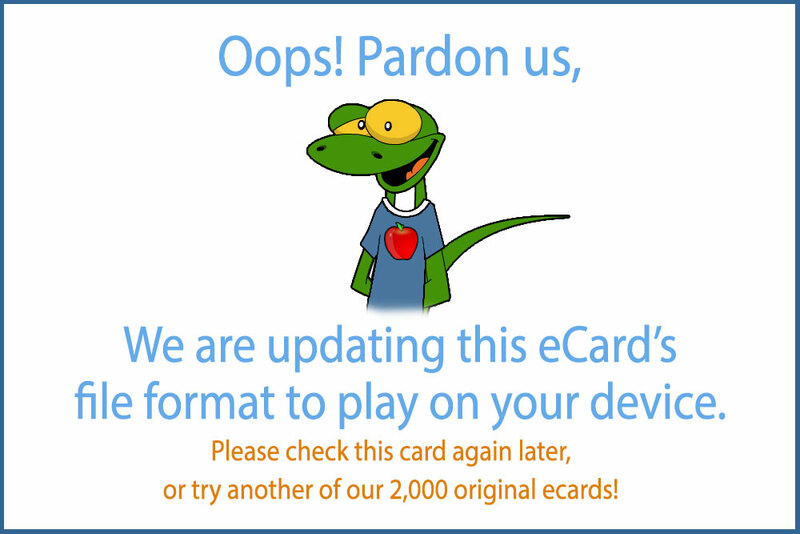 Are you looking for an animated ecard that is colorful, whimsical, musical and delightful? 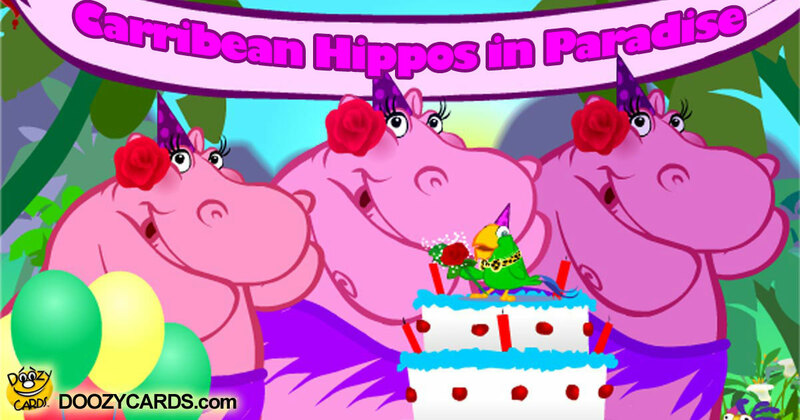 One of my favorite musical birthday ecards is our Caribbean Hippos in Paradise Birthday ecard. The pink hippos! Aren't they just wonderful? With their purple grass skirts and dance moves, they steal the show! Our singing Parrot soloist serenades the Birthday recipient to a smooth reggae melody and he is so fabulous! And our Hippo back vocals are spot on with their lovely harmonies. The design of the card is absolutely celebratory with all the characters and colors topped with a scrumptiously looking birthday cake. This Caribbean Hippos in Paradise Birthday ecard is a winner!